And it’s so worth it; aside from delicious, ‘chokes are high in fiber, folic acid, and vitamin C, and can be used in almost everything you make, from dips, soups, stews, grain and pasta dishes, and salads. When you’re in a rush, frozen, canned and jarred artichoke hearts can be added to practically any dish under the sun. 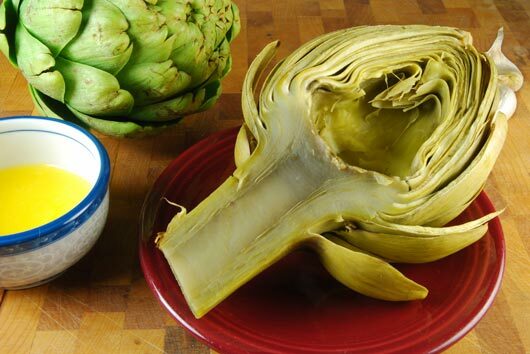 Here’s a selection of 10 mouthwatering artichoke recipes for your upcoming culinary adventure.